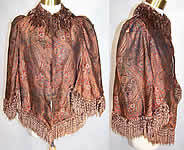 This antique Victorian era iridescent silk paisley chenille fringe dolman mantle cape dates from the 1870s. 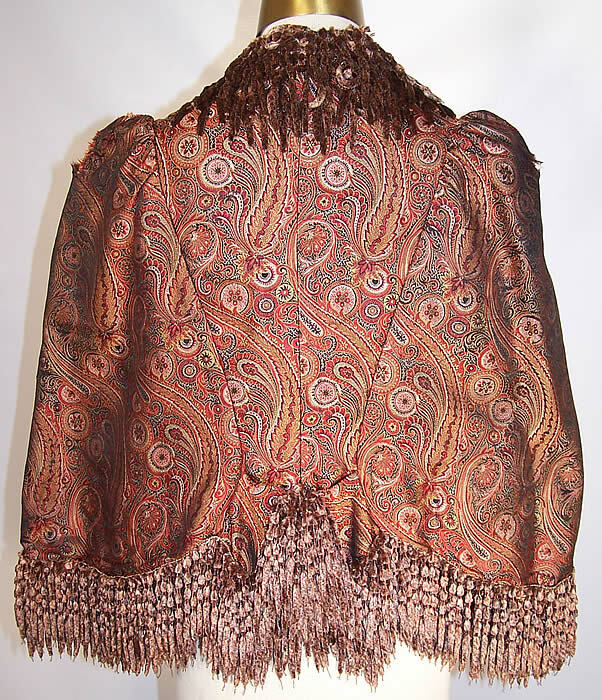 It is made of a rich iridescent silk fabric done in shades or red & gold in a decorative paisley pattern design. 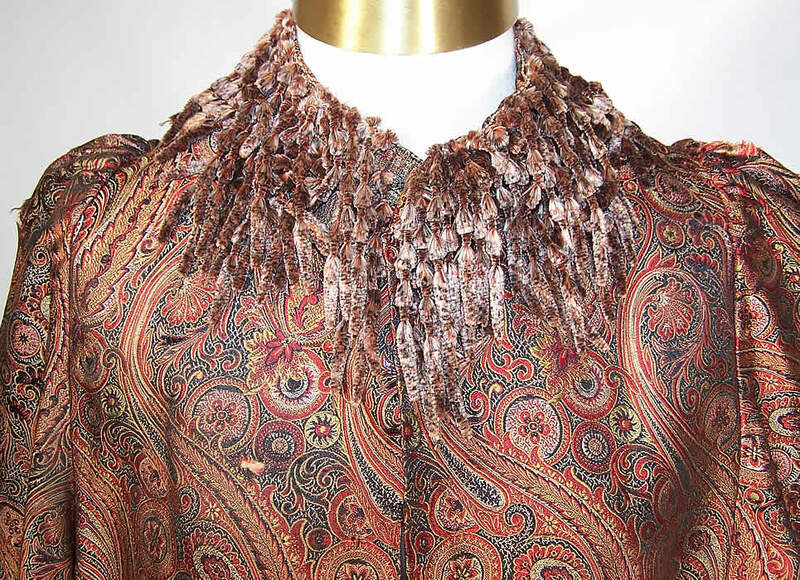 There is soft brown silk chenille tassel fringe trim edging the bottom hemline and neckline. This magnificent mantle cloak cape has dolman style partial sleeves, a loose fitting cape like style, with gathered shoulders and hook & eye closures. 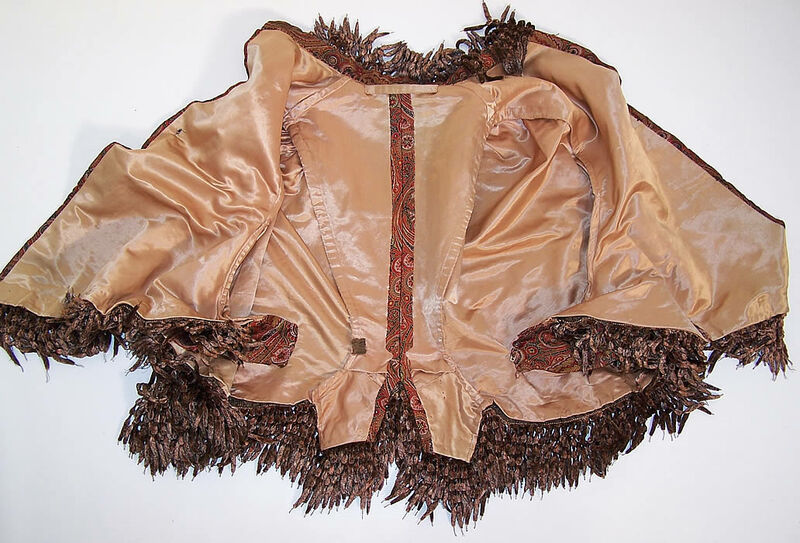 It is fully lined in a golden brown beige color silk fabric. 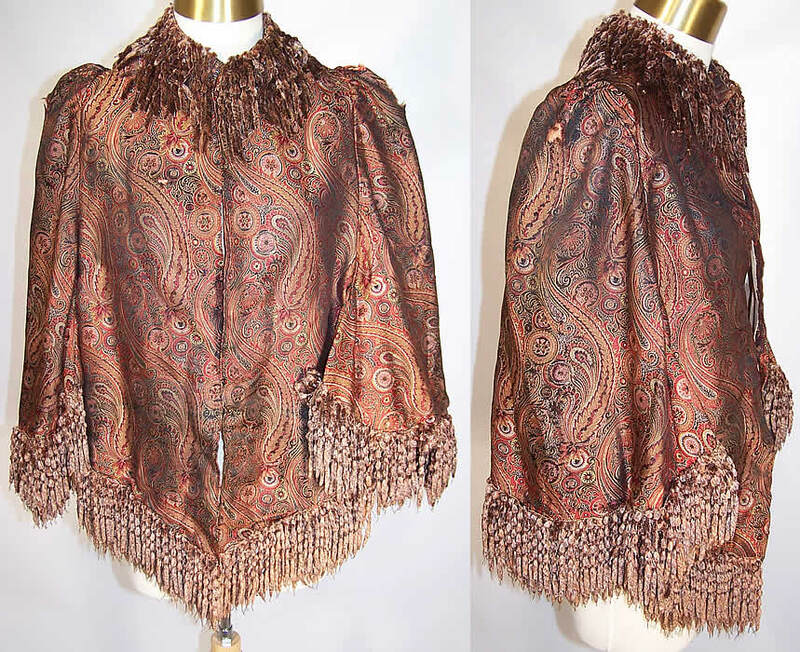 The cape measures 24 inches long, 12 inches across the shoulders, with a 48 inch bust. 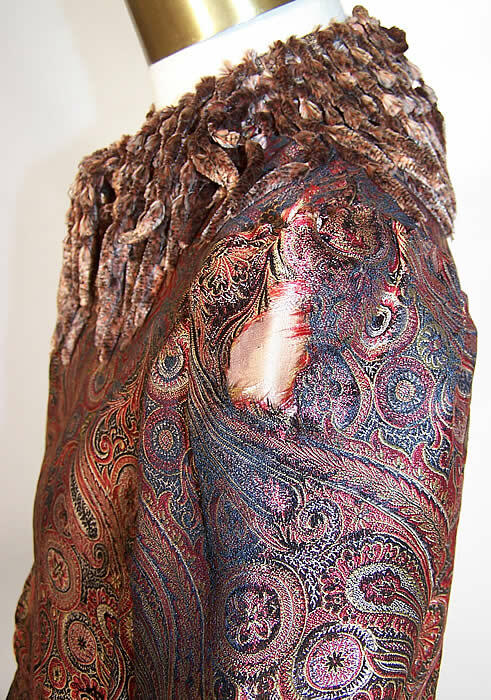 There is a tiny fray on the front top and each shoulder has a small frayed split in the silk (see close-up). This a wonderful piece of wearable Victoriana art!